Dresden, Germany – It’s one of the most secretive and powerful organizations you’ve probably never heard of; the Bilderberg Group. With virtually no mainstream corporate media coverage of the event, the ultra-exclusive 2016 meeting of the Bilderberg Group, being held at the Taschenbergpalais hotel in Dresden, kicked off on June 9. The annual meeting of the global power players — including representatives from government, private industry, media, finance, think tanks, academia, as well as numerous other organizations representing both private and public interests — began their closed-door sessions amid a heavily-armed security presence, and extremely little in the way of transparency — with journalist being arrested. “No minutes will be taken. No reporters will be allowed in. There will be no opening press conference, no closing statement, and participants will be asked not to quote each other,” the UK Independent says of the 64th Bilderberg Conference, which began on Thursday at the Taschenbergpalais hotel in Dresden, Germany. Participants are bound by what’s known as the Chatham House Rule, which allows people to make use of the information they’ve received, but not reveal the identity or affiliation of the person who gave it to them. With so many high-powered attendees and so little media coverage, many question the actual intent of the annual meeting. Some perceive the gathering as a giant “corporate lobbying” event, while others assign more nefarious intentions of creating regimes of global governance to the meetings. The one thing that is certain is that the gathering allows for the world’s power players to meet in secret and have “off the record” discussions without the public being aware of the details discussed, nor the informal agreements agreed to by attendees. “All those finance ministers sitting round discussing the ‘geopolitics of energy and commodity prices’ with the group chief executive of BP, the vice-chairman of Portuguese petroleum giant Galp Energia, and the CEO of Royal Dutch Shell. And then afterwards saying nothing to their respective parliaments about what they discussed. It’s so off-the-chart inappropriate that it beggars comprehension,” according to The Guardian. Make no mistake that the fortunes of kings are created at this event, as the fates of future presidents and prime ministers have seemingly been decided at Bilderberg. “Bill Clinton was a conference attendee in 1991, as a mere governor of Arkansas, a year before he was elected U.S. President. Tony Blair was only a shadow minister when he got his invitation … in 1993,” said The Independent. Coincidentally, (or more likely not) Blair became the prime minister of the United Kingdom in 1997. While there is a publicly posted agenda, this does little in the way of allowing for the public to have an informed say in, or understanding of the frameworks and decisions made in these private meetings between some of the most powerful individuals in society, who essentially control the levers of Western power, and whose decisions have an inordinate amount of influence over the lives of almost every person on the planet. Considering that these attendees have such a significant presence within private industry, state and global governance, and the overall geopolitical direction of the world, the fact that the details are hidden from public purview is deeply disturbing to anyone that believes in an accountable and transparent global society. 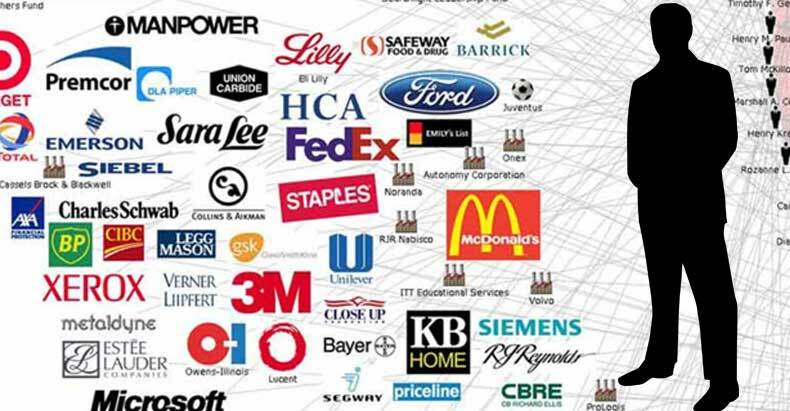 To help readers better understand this complicated web of top-down control, Zero Hedge has created a chart laying out the linkages and various connections of those in attendance. 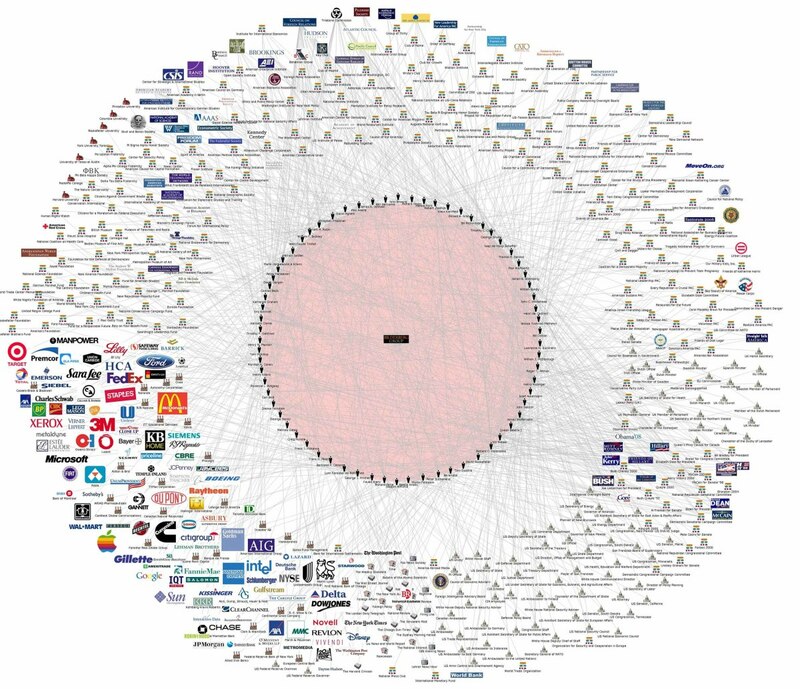 The graphic below exposes various connections and links – public, private, financial, political, statutory and otherwise – between a small group of individuals that are at the core of Bilderberg and the rest of the world.